WEST LAKE VILLAGE, CA, August 28, 2017 /24-7PressRelease/ — The Technology Expense Management Industry Association (TEMIA), is pleased to announce that Mark Hearn, Network Control President and CEO will assume the role of TEMIA President as well. Hearn is well positioned having served on TEMIA’s Executive Board for a little more than two years. He is also recognized as an early pioneer starting one of the first software based TEM companies in 1987. In addition, TEMIA will fill two open TEMIA Executive Board At-Large board seats with the addition of Chris Lee CEO of InvoiceIQ and Eric Sendelbach, Chief Technology Officer of MOBI. Also, joining TEMIA’s board will be Eric Sendelbach, CTO at MOBI. Eric said, “I look forward to bringing new perspectives to TEMIA’s board with my background leading development and delivery of a world-class software platform, which is adaptive to the growing technology landscape, and flexible to meet the complex needs of companies. In these changing times, TEMIA must also adapt to meet the needs of its members.” Eric comes from a history of software development roles, as a Principle Software Developer at Liberty Mutual. He earned a Bachelor’s of Science degree in Computer Science from the University of Notre Dame. Chris Lee from InvoiceIQ brings a diverse background to TEMIA’s board as a founder or co-founder, with two successful sales to private equity and public company buyers. “I look forward to helping shape the association and expand my role within TEMIA’s executive board. The transformative changes taking place in the enterprise compute and fixed / mobile network services arena offer great opportunities for TEMIA members and their customers.” Mr. Lee is also known as an expert witness in telecommunications billing, cost management, billing disputes, TEM software intellectual property, traffic engineering, interconnection engineering, access policy and regulatory matters. – Opportunities to meet new strategic partners. 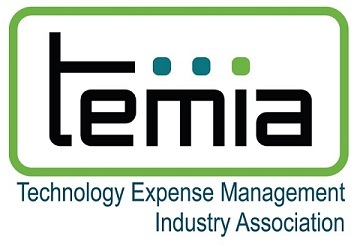 TEMIA‘s ongoing mission is to raise awareness, to improve the quality and value of solutions and to cultivate shared industry knowledge for Technology, Managed Services, Expense Management, Telecommunications Management, Telecom Expense Management, TEM, Mobile Expense Management, Managed Mobility Solutions, MMS, Mobile Device Management MDM and Enterprise Mobility Management, EMM solutions. TEMIA seeks to do this through the development and promotion of open industry standards, and industry knowledge among solutions providers, business partners, telecom service providers, and enterprise clients. Further, TEMIA members subscribe to a Code of Ethics, which clearly establishes standards and differentiates their level of commitment to their clients.